Today I finished reading Life From Scratch (A Life From Scratch Novel Book 1). It satisfied number 41 on my reading challenge list - a book by an author you've never read before. At least I'm pretty sure it did. This was the second book that I was so grateful to have as a back-up to read at baton competition last weekend. 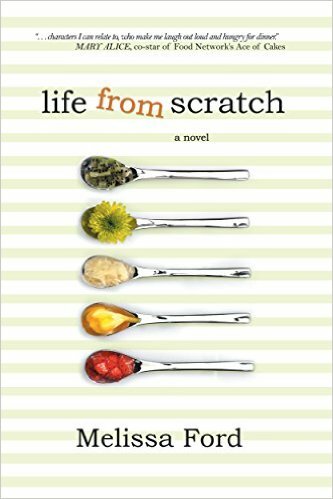 Life from Scratch was a delightful little edition of chick-lit, with a unique ending from what I expected. I was engaged with the characters, which is pretty much the best part for me. It was, oddly enough, another book with sort of a cooking storyline. The most odd part of that is that I'm not much of a cook either, much like the main character at the beginning of the book. Hmmmm maybe you are supposed to take up cooking if you keep getting cooking stories. I think we keep getting books on topics that we are interested in, sometimes shows us what we should be investing our time in or might even be the job we would be great at.